When you are looking for a New Replacement Shower Tray, how do you tell what's the best Shower Tray on the market for the lowest price ? 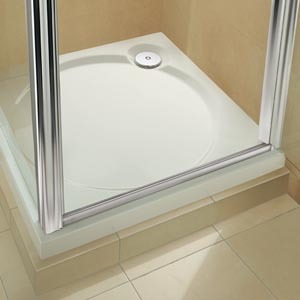 That bits easy, Coram Showers are the UK's leading specialists in the design and manufacture of Shower Enclosures, Shower Trays and Bath screens. Designed and built in Britain, Coram Shower Trays are the fastest and easiest to fit, which is why they are the choice of more professional installers than any other. This also means that DIY novices won't find them a problem either. All Coram products are built to last and all come with a rock solid 10 year guarantee. Byretech only offer Coram products, as we believe they offer the best value for money and are always available for fast delivery.